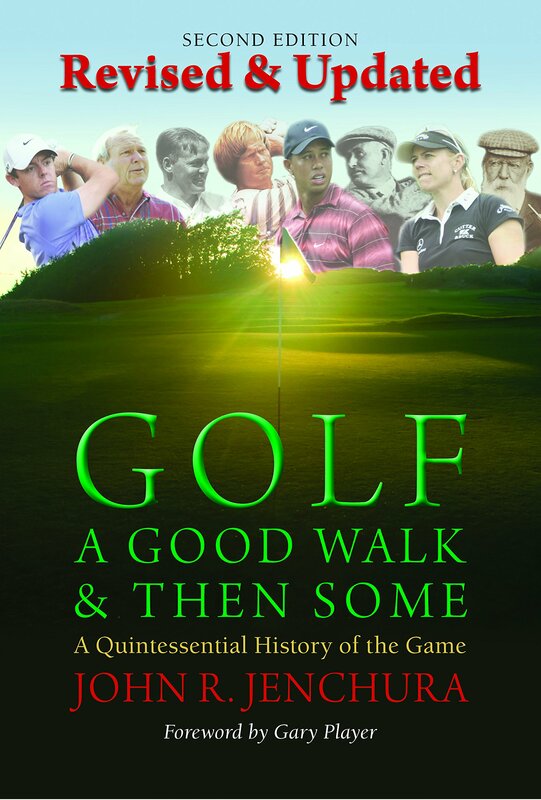 Sequel to the first complete history of golf published since 1975; satisfies both the history buffs and the fans that want to relive the great championships and legendary feats of the world s greatest golfers. The book by lifelong golf enthusiast John Jenchura offers passionate fans as well as casual readers the most comprehensive volume on the sport of golf ever created. How did it all begin? This over 470-page narrative with 100 photographs and 67 chapters covers the history of the game all the way back to the Romans in 300 AD, follows it across the European continent to Scotland and chases it across the Atlantic Ocean to the U.S. Chapters detail the evolution of the ball and new equipment, the founding of the U.S. Golf Association, and premier men and women players dating from the 1800s to the present. The second edition highlights new stars such as Rory McIlroy, Bubba Watson, Stacy Lewis, Lexi Thompson, Lydia Ko and the rise of the Asian women golfers. In addition, an appendix listing golf s individual major championships and team competitions beginning with Open Championship in 1860 along with year-to-year information on winners, scores and venues make Golf A Good Walk & Then Some an invaluable source for the reader looking for information on a particular tournament down through the years. John Jenchura is an avid enthusiast about all things related to golf. He learned to play in his early teens and plays regularly at Honeybrook Golf Club in Honey Brook, PA, a course he helped to develop and in which he is a partner. This is his Second Edition, following in the successful publishing of his First Edition in 2010. He has three grown daughters and lives in Merion, PA with his wife Grace.